Formatting the text of a document is key to making it look unique and professional. 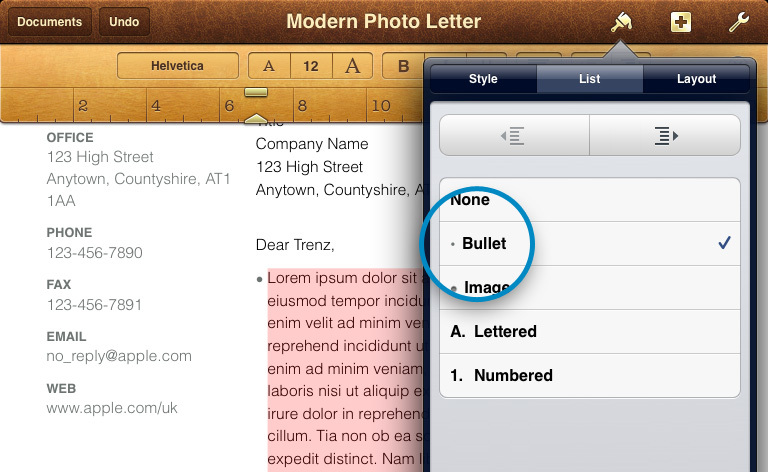 Pages enables you to align text, adjust its spacing, insert bullet points, numbering and more. All with your fingertips. In this tutorial you’ll discover how to easily align and format paragraphs. 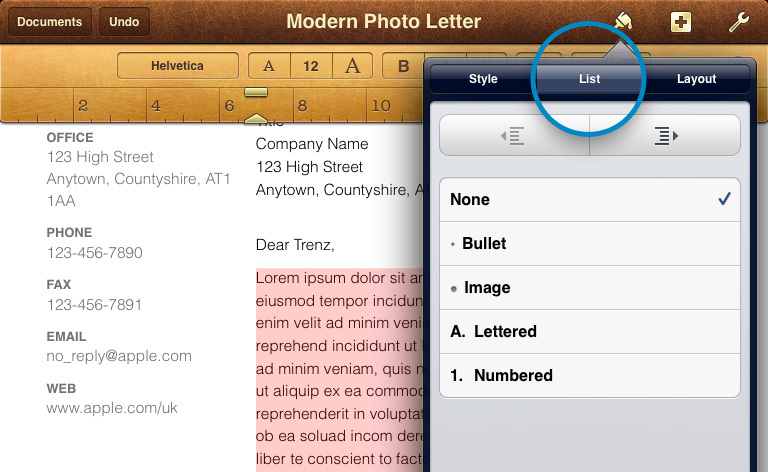 Begin by selecting some text, then tap the Paintbrush icon in the toolbar to access the Style menu. From here you’ll see options for editing the alignment of the text. These enable you to justify the text to the left, right, centre and both left and right. Adjusting the line spacing of a paragraph is simple. 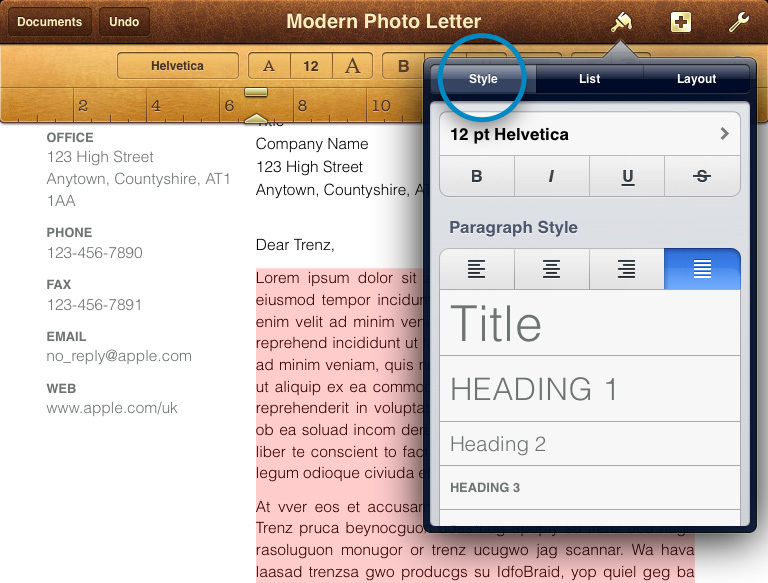 Select the text or paragraph you wish to edit, tap the paintbrush icon in the toolbar, then tap Layout. Next, adjust the spacing by tapping on the Line Spacing stepper. It’s easy to add bullet points and numbered lists. Select the text or paragraph you wish to edit, tap the paintbrush icon in the toolbar, then tap List. Next, select the style you wish to use. You’ll see options for adding bullet points, lettering, numbers and images, You can also align the text to the left or right. To remove the Bullet or Numbered formatting, select None in the stepper.